One of the world’s largest chewing gum companies, Wrigley, has added some ‘oomph’ into its products—as an alternative to traditional caffeinated beverages, such as coffee, tea and energy drinks. The gum called ‘Alert Energy Caffeine Gum’ contains 40 milligrams of caffeine, about half the caffeine content found in a small cup of coffee. Described as an “energy solution that gives consumers the power to control how much caffeine they get”, the gum for adults is sugar free and come in two flavors: fruit or mint. 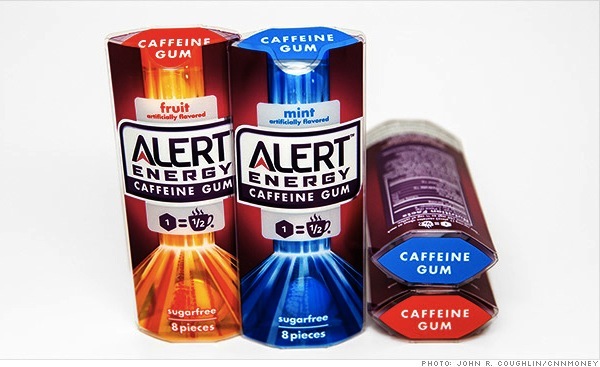 Alert Energy Caffeine Gum will be sold at convenience stores, and food and drug retailers in packs of eight pieces, at US$2.99 per pack, and will launch next month. “Wrigley is focused on restoring gum category healthy, and that means creating functional and ‘occasion-based’ reasons to chew, bringin relevance back to gum,” the company said in a statement. Would you give up coffee for gum?